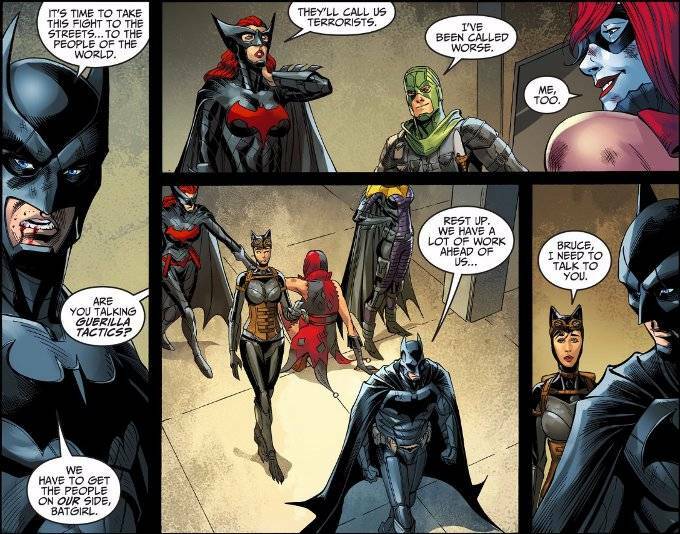 The fight continues as Batman and his inner circle face off against Superman, Wonder Woman, Killer Frost and Bane while Batgirl tries to rescue Catwoman. Meanwhile, on another world, Katar Hol returns home to find his wife is missing. And he is not pleased. There's a lot of action in this issue. Yet Brian Buccellato takes the time to slow things down and allows for the kind of conversations he's famous for writing. The final scene between Bruce and Selina is particularly touching. The artwork seems a little off this week. 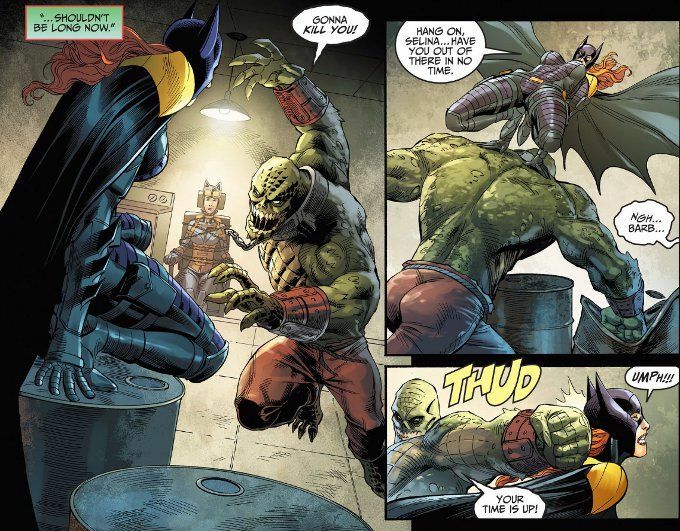 Mike S. Miller's pencils are uncharacteristically sloppy and some of his poses (particularly in the fight scene between Killer Croc and Batgirl) seem unnaturally forced. The inks by J. Nanjan are also far too thin in some panels, barely enhancing the original pencils at all.